Our next series looks at probably the closest one in the opening round. The Waterloo Wolves will look to reach their sixth consecutive Alliance championship, but their road will be much tougher than previous years. Brantford returns to the playdowns for the first time since their semi-final run with the 1998 born players. This years team has showcased speed and skill along with showcasing some players for the future. 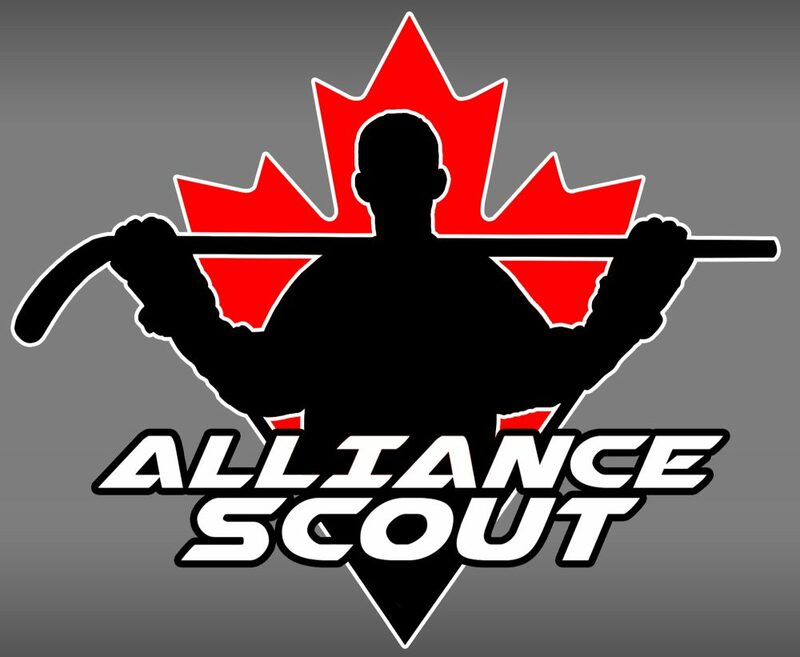 It was a quick day of games at the second day of the Alliance Showcase. While it was a shorter day for those watching in attendance, it was a busy day for the players as they went through both on and off ice seminars. Back at Central Park for the games today, I do have one complaint about the venue. This may be splitting hairs, but I’ve found over the past couple of days that the sightlines at both rinks leave much to be desired. There are few places to watch the games with an unobstructed view so the lesson was learned during day one that early entrance is neccessary. There were some real solid games on Saturday afternoon. Let’s go through some of the action. Sun County got out to an early lead and extended it with a couple of quick goals. Penalty trouble for the Panthers allowed Huron-Perth to get back into the game but the Panthers held on and remain undefeated to begin the season. Davis Edmunds really had a good showing for Sun County. Whether it was on defense or when he was situated up front and attacking as a forward, his quick shot release gave the Lakers and goaltender Garrett Golley some issues. John Ulicny had another good game for Sun County, using his speed and shot to cause havoc. For the Lakers, Sheldon Pryce was all over the offensive zone and played his best game I’ve seen through the early point of the season. Carter Schoonderwoerd also had a great game and had a sweet goal to make it 4-3. This was also the first time I’d seen Schoonderwoerd play a physical game away from the puck which was nice to see finally.